GM says these will result in improved engine life and performance. Therefore, every owner of the GM vehicles mentioned - new and old - should be pleased to learn that new, next-generation Pennzoil Pantinum® full synthetic motor oil is fully dexos1™-approved in the popular SAE 5W-30 viscosity grade. And they should be even more pleased to learn that new, next-generation Pennzoil Platinum® 5W30 actually exceeds dexos1™ standards, particularly in the area of engine cleansing. Pennzoil Platinum® 5W30 keeps pistons up to 40% cleaner than the toughest industry standard*. 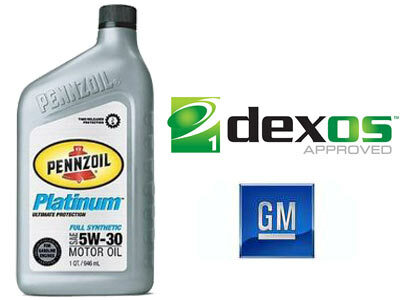 So try new dexos1™-approved Pennzoil Platinum® 5W30 and Feel The Clean. *Based on ILSAC GF-5 and Sequence IIIG piston deposit test using SAE 5W-30. Most batteries on the market today are maintenance free, but this doesn't mean they don't need to be checked and changed from time to time. Fas Lube can check your battery for information such as voltage and cold cranking amps. The battery test will tell the Fas Lube technician if the battery needs to be replaced. 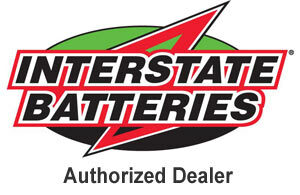 Battery age and weather are the two main causes behind dead batteries. Hot weather is worse on batteries, but drivers end up having problems during cold weather. If the battery doesn't have a full charge, it will freeze. Once this happens, the battery loses all of its charging capabilities. Battery corrosion can be an enemy on the life of a battery and should be addressed with every oil change. Fas Lube will remove the battery cables and clean the posts and the battery cables to take care of the problem. According to the Car Care Council, 10 percent of vehicles need maintenance on battery cables, clamps or terminals. You can be assured that your vehicle's battery is in top driving condition by stopping in at Fas Lube and taking advantage of its battery services. Fas Lube has batteries in stock to get drivers back on the road. Out of site... out of mind. Nestled into a maze of plumbing, or sometimes positioned low on the frame rail, is a silent soldier who works overtime trapping harmful contaminates. That would be the fuel filter, whose purpose is to prevent debris from passing through and damaging costly engine components. Neglected, it can be the system's worst enemy and it can put the fuel pump into cardiac arrest. Often, the filter goes unnoticed until a problem occurs. At this point, the customer is often stranded and sometimes faced with costly system repairs. A restricted fuel filter can spell big bucks in repair costs, as damage to the fuel pump can be incurred. What was once a $150 repair can now consume $700 - $800 in parts and labor, and sometimes more. The customer seldom followed the vehicle manufacturer's service recommendations. He boasted that his last vehicle, a 1994 Chevy truck, had logged 150K miles on the original fuel filter. Later, he admitted the truck was on its third fuel pump. His present truck, a 1999 Chevy K1500 had been experiencing an unstable idle, stalling, hard starts, and had progressed to a no-start condition. The diagnosis was a defective fuel pump, at a replacement cost of $800 for parts and labor. He was really depressed when informed that the pump failure was likely due to a contaminated fuel filter. Preventive maintenance is peanuts compared to a fuel pump failure on some of the newer vehicles. All Faslube locations now offer our fuel filter replacement program. Don't get stranded along the highway. Have one of our expert technicians replace your fuel filter the next time you visit one of our Faslube locations. Inspect the existing belt for excessive wear and fraying. The Cabin Air Filter removes the dust, pollen, mold spores and other particles that can flow inside the passenger compartment of your vehicle, especially in certain driving conditions such as city driving, dusty roads and industrial areas. Both foreign and domestic vehicles are now installing this filter to keep the airflow clear and clean within the passenger compartment of your vehicle. What are the benefits of a Cabin Air Filter Service? Captures airborn particles as small as one micron. An electro statically charged layer will hold the small particles in the filter, not the air. Maintains clean airflow throughout the vehicle's passenger compartment. Protects air conditioner and heater core from dirt, debris and possible corrosion. How often should the Cabin Air Filter be replaced? Some filters have an electrostatic charge within the filter which depletes with time. Over time, larger particles in the air will eventually clog the filter. Failure to replace this filter will cause reduced airflow into your vehicle's passenger compartment. Most vehicle manufacturers recommend a regular Cabin Air Filter replacement every 12 months or 15,000 miles. Ask your Faslube technician to check to see if your vehicle's cabin air filter needs replacement. 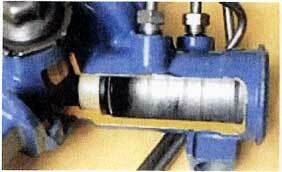 Grooves can be worn into the soft metal of the spool valve housing (left) by hardened seals in the spool valve. Metallic debris from such wear accumulates in the fluid causing premature component failure. Flush entire system of all fluid and contaminants and install new high-tech fluid to protect against noise, wear and leakage in the system. Alleviates steering squeal caused by sticking valves. Corrects the "jerky" feeling on the steering wheel. Helps prevent fluid leaks and reduces wear.